The restaurant, also simply known as Ba Guo, opened since July 2010, is well received as one of Adelaide's most popular. Over the years, it has been proudly bringing the authentic Szechuan flavours to not only the Adelaide Chinese community here in Adelaide, but also introducing the unique Szechuan cuisine to the masses of South Australian locals. The team pride itself on the high quality of dining experience and customer service it provides. Bu Yi, is a term of endearment for "the common people". As the name suggests, the restaurant draws its inspiration from the Si Chuan (aka. Szechuan) cuisine. It seeks excellence and refinement in dishes created by, and, for the common people. It is the vision and goal of the restaurant to deliver an authentic dining experience of such cuisine to this beautiful southern State of Australia which it now calls home! As mentioned before, the name often and more commonly known in the West as Szechuan, is in fact the name of a province situated in South-West China. The region experiences high humidity with plentiful rainy or overcast days throughout the year, and hot pepper often helps reduce internal dampness. So before long, it was frequently used in common dishes and over time it became the norm in Szechuan cuisine, which has long been famed along side of GuangDong (Canton), ShanDong and HuaiYang, together they are categorically known around the world as the four signatory cuisines of China. 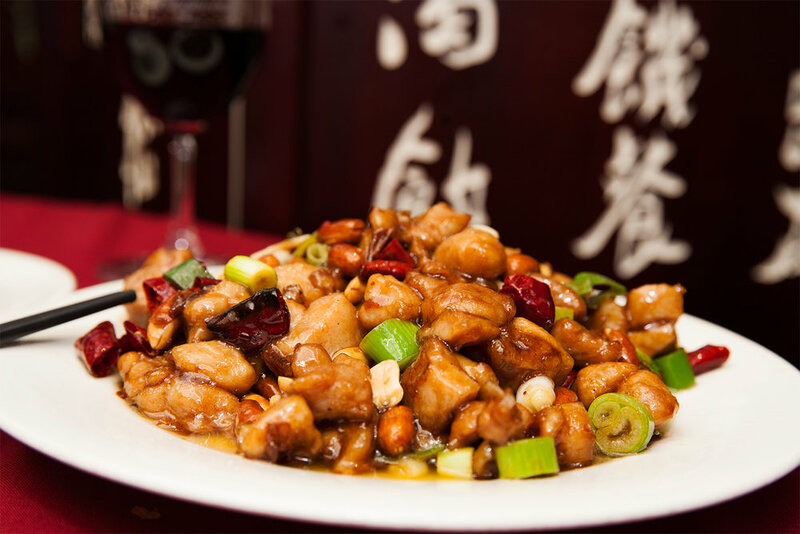 Szechuan cuisine, prolific of rich taste with an emphasis on the use of various traditional Chinese spices and herbs. Red chilli often accompanied by green peppers and prickly ash, producing an unique and explosive sensation on the palate. In addition, ginger, shallots, garlic and fermented soybeans are also frequently chosen as part of the cooking process. Frying with and without oil, pickling and braising are some key cooking techniques involved in the Szechuan cuisine, whilst many wild vegetables are often added to the chef's ingredients list. It is said that one could not claim to have tasted true Chinese food without experiencing the Szechuan cuisine. It goes without saying that the Chinese food culture goes back a very long way. It is well reflected in its dishes big and small, for Kings & Queens or the commoners. Since its grand opening, the food at Ba Guo has been widely favoured by the locals for its authenticity. Such successes are of course tied directly to the kitchen's endless efforts. 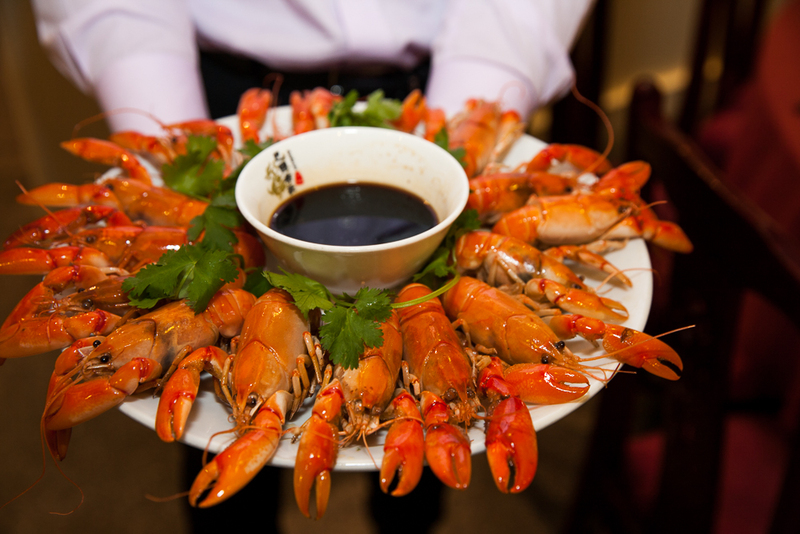 Unsurprisingly, the whole team which is led by head chef Li, is from Szechuan Province (China). They pay particular attention to the details on the ingredients selection, the cooking process and technique, the presentation and the balance of flavouring. The journey doesn't simply start and end with the spices. The team constantly brings a variety of different texure, aroma, relish and characteristics of Szechuan cuisine onto a plate. They also attend large Szechuan cuisine mastery events in China, meeting like-minded talents and trading professional experiences. The goal is to constantly seek refinement in what they do, in order to better represent what the Szechuan cuisine has to offer both in and out of China. So come and meet a few of the key players in our kitchen. Chef Li has been at the helm of Ba Guo's kitchen since day one with 25 years of professional experience under his belt. He is meticulous about his kitchen's operations & is known to run a tight ship. He has earned a reputation of being strict but fair amongst his peers. Chef Liu is Chef Li's long-term protégés who had successfully matured under Chef Li's command. As the left and right hands of the executive chef, he helps to assess, prepare, coordinate and monitor the full operation of the kitchen. Under the high pressure, he is undoubtedly the stablising force in Ba Guo's fast paced modern kitchen. Chef Wang oversees the cold entrée station. 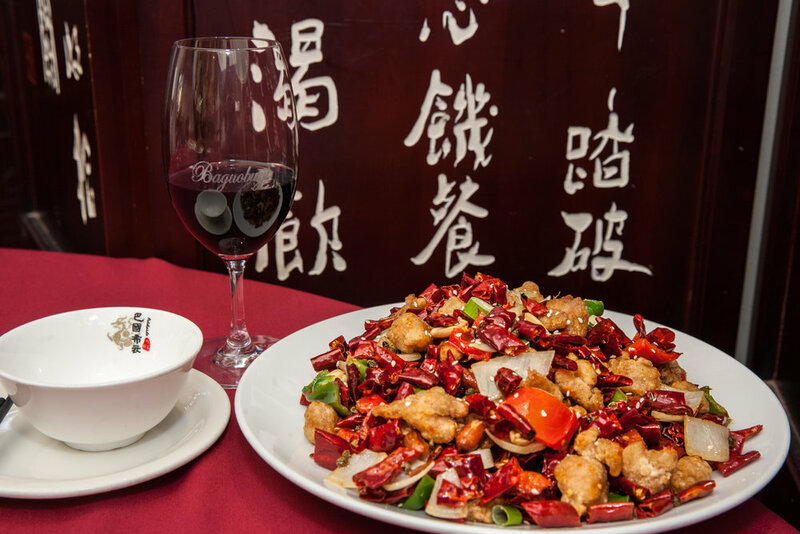 Cold entrée is essential to an authentic Szechuan dining experience. It gently introduces different key flavours before the mains and is a perfect stage to showcase her creativity in ingredient selection and presentation skills. Situated by the China Town arch on Gouger Street (next to the Optus store or opposite of Goucho's), the restaurant can be conveniently reached via free bus/tram in the CBD. The Adelaide Central Market car park is also minutes away from the restaurant on foot. The restaurant furniture and decor inside is themed with Szechuan redwood. Total capacity tops at approximately 180 seats with 2 private sections in the main area and 1 large function room. *Important Note: The form above is for enquiry purposes only. To confirm a reservation, please call us directly.